Only 38 percent of family physicians are “highly satisfied,” with their EHR systems, according to the AAFP’s Family Practice Management (FPM) survey on user satisfaction and EHRs. However, this only reveals a small part of the overall picture. While users find significant satisfaction in many EHR aspects, they also find frustratingly little satisfaction in other areas. Let’s take a closer look at the survey, its findings, and the takeaways for family physicians looking to get the most out of their Family Practice EMR Software. RevenueXL provides affordable Web-based EHR Software for small and mid-sized practices. Check out our prices today and call us for even better prices.. Combined, these three areas determine overall satisfaction. A total of 37 percent of respondents, meanwhile, agreed with the sentiment, “I enjoy using this EHR.” With the goal of inching satisfaction rates closer to 100 percent, what should physicians be looking for? While some EHR systems frequently came out ahead in the survey, the AAFP cautions against thinking of the survey in terms of “winners” and “losers.” Rather, it provides an opportunity to evaluate how well EHRs are working, along with what features can play an essential part in helping to foster physician satisfaction across three key parameters. Let's break it down. Switching to an EHR from paper or replacing your EHR can be hard on staff morale. The learning curve can be steep, so easing the process is a pivotal factor for many practices. If the system is easy to use, it will be that much easier to learn. Ability to document care easily and efficiently. Ability to easily and quickly find information needed. Intuitive and user-friendly interface which allows completion of tasks efficiently, without seemingly unnecessary steps. Clearly displays the information needed without unnecessary information or other clutter. Presents alerts that are concise, appropriate, and helpful. Based on the survey results, the majority of EHRs are most successful when it comes to improving intra-office communication, helping healthcare teams gain access to information, maintaining documentation and e-prescribing. These all fall under the auspices off productivity. The AAFP's report indicates that EHRs can indeed be satisfying, but only if you know what to look for when choosing between today's systems. Family physicians seeking to improve their workflow, efficiency, care and meaningful use, will turn the FPM survey's essential insights into results when it comes to choosing EHRs which will best meet their needs. To find out how easy our Certified Family Practice EMR Software is to learn, and how we can help you focus on providing top patient care (rather than technology), contact RevenueXL today. 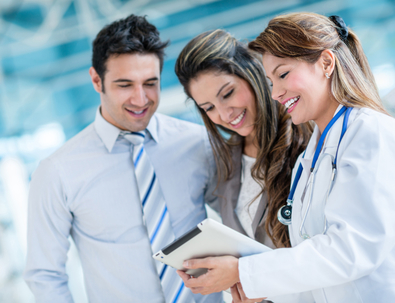 What are the top 7 Features in a Family Practice EMR? What are the EHR replacement signs that you must not ignore?